The Rogers Agency is pleased to announce our status as a Google Partner. Earning this standing took a lot of work and effort. As a Google Partner, we now offer added benefits to our clients. The following entry will showcase the benefits this position extends to our clients and what steps earned this status as a Google Partner. The Rogers Agency’s Google Partner status extends benefits to you, our client! Our certified team will now have access to additional Google training and support, giving you the most up-to-date campaign insight and tactics for the best campaign performance possible. We will be able to use Google’s newest features which further allows us to differentiate your ads from your competitors. With our proven performance, you can be confident that The Rogers Agency team has the knowledge to create and optimize the most successful campaigns within the Search Advertising arena. And speaking of our proven record of performance, that was one of the key requirements in becoming a Google Partner. Becoming a Google Partner is no small feat. There are three rigorous requirements over a year involved in aqcuiring the achievement. The first requirement is to have at least one affiliated individual certified in AdWords. At the beginning of July 2017, our Director of Digital Marketing, Rene Carling, became certified in AdWords. But because our team is a group of overachievers, in July 2018, our Marketing Director, Christina Close, also became certified. Exceeding the requirement of one affiliated individual certified in AdWords, we now have 2 certified individuals in AdWords. Earning AdWords certification requires passing a minimum of two tests delivered by Google – one on the fundamentals of Search Advertising and the second focused on the Google AdWords platform. The tests were lengthy and included trick questions, but Rene Carling and Christina Close aced them. 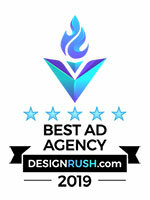 They can now answer most questions our clients have regarding Search Advertising. The second requirement is to have a 90-day Google Search Advertising spend of a minimum of $10,000. Because we offer our clients integrated marketing services, many marketing strategies we develop and execute include Search Advertising campaigns. Our clients appreciate that The Rogers Agency’s local search marketing team works directly on their campaign. We do not pass along search marketing management to a third-party partner, which would cost our clients even more. We work hard to optimize your campaign with an eye towards the best ROI for you. Owing to the success of our client’s campaigns we were able to satisfy this requirement within the first few months of our journey to becoming a Google Partner. As we sprinted past requirement number two, the final requirement was a marathon to fulfill. Google requires Google Partners to demonstrate one year’s worth of successful performance data. Results must show solid overall ad revenue and campaign delivery growth, while maintaining and growing one’s customer base. Since The Rogers Agency began executing Search Advertising campaigns in-house starting July 2017, July 2018 was the first month we were up for our performance review. Due to the individualized attention we devote to the success of each Search Advertising campaign that we manage, we crushed Google’s minimum performance benchmark! Increased click-through-rates — some even tripling. Click-thru-rates are the percentage of your ads that are clicked-on in relation to how many ads are delivered. Click-thru rate can be a measure of your ad being successful, especially in comparison with industry average rates. For instance, the industry average for medical businesses utilizing Search Advertising earn a click-through rate around 3.27%, while we earn around 4.34%. Lead volume growth – something every business wants! Lead volume growth is the increase in calls, form-fills, or other measurable responses of potential new clients for your business. For one of our medical clients, we nearly doubled their monthly leads, working within the same budget, after bringing their Search Advertising campaign in-house. Ad relevancy increases – Google likes to see this one! The more relevant an ad is to the searcher, the more qualified the lead will be when it is clicked on. In the future months and years, The Rogers Agency anticipates these number increases to continue to grow as we access the benefits of the Google Partner status and provide better insight into your campaigns. We could not have become a Google Partner without our wonderful clients – so, again, thank you! Our team looks forward to helping you continue success in the coming years.